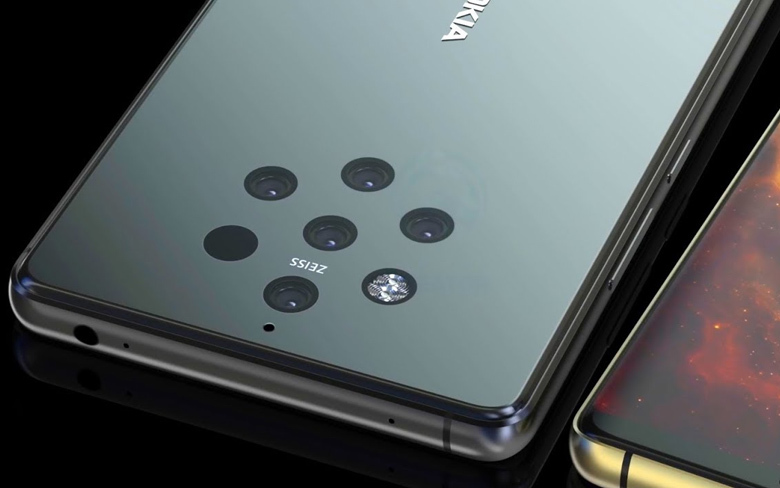 Nokia 9 PureView is expected to be officially announced by HMD Global at Mobile World Congress (MWC) 2019 on February 24. However, its leaked images could give us a better idea about how it looks like in real-life. Nokia 9 PureView highlights penta-lens camera features like five simultaneous shots; 10 times more light capture, incredible amount of details, and refocus in Google Photos and more. It carries signature Nokia premium design on the lines of Nokia 7.1 and Nokia 8.1 that appears to be a beautiful smart-phone. Its startling features, primarily, include a rear camera with five lenses – providing an automatic and obvious advantage in promotion to the public. The housing, which includes the flash and the other sensors required, has a smart design and looks good. The output from the camera is yet to be seen. Leading off with five lenses is the extension of approach that heavily depends on the imaging hardware and software. The screen of the phone itself does not feature a notch. Instead above and below the screens there are noticeable chins to accommodate the forward facing camera, sensors and speaker. That moves the Nokia 9 PureView away from the bleeding edge of smart-phone design – handsets such as the Honor View20 are working with screens that have small punch outs for the camera and provide a larger screen to body percentage. Moreover, the hands-on image gives an idea about its size. It really doesn’t look too big in spite of the 5.99-inch display.